No.1 Warehouse, the new permanent gallery, focuses attention on the Grade 1 Listed Museum of London Docklands building itself. Originally called No 1 Warehouse, the museum building was part of the West India Docks, London’s first enclosed dock system. A walled and gated compound, the West India Docks provided a secure environment within which cargoes could be loaded, unloaded and stored. Established in 1802, they were the first stage in the proliferation of early 19th century dock building in the east of London. The new gallery aims to reveal the inner workings of London’s docks and warehouses. It will bring this story to life using a powerful combination of historic equipment and machinery which performed the day-to-day work of the docks, as well as oral histories, historic images, film and the remarkable building itself. the advent of shipping containers forced the dock’s closure in 1980. Smaller items include an early 19th century bronze call-on bell, which sounded the dock’s opening and closing times; a lifesize wooden sculpture of a sailor at the wheel of a ship, the trademark of mast maker Bawn & Co; iron ring weights; tobacco trolleys, meat carts, and cut away models of the docks, illustrating the activity taking place on each floor. Perhaps the finest exhibit is the building itself, designed by George Gwilt and his son; with its loophole doors on each floor, security windows with spiked cast iron frames and timber columns, the warehouse is an impressive relic of a lost era. With the new gallery development, visitors will for the first time be able to look out on to the quay through the historic loophole windows. The new No.1 Warehouse gallery was made possible thanks to generous supporters including; DCMS/Wolfson Museums & Galleries Improvement Fund, Arts Council England and The Foyle Foundation. The gallery contains numerous materials from the Port of London Authority archive. The Museum of London Docklands is a branch of the main Museum of London. Opened in 2003, this grade one listed converted Georgian sugar warehouse tells the story of the port, river and city – focusing on trade, migration and commerce in London. 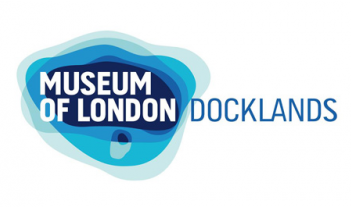 Museum of London and Museum of London Docklands seek to inspire a passion for London. The Museums are open daily 10am – 6pm and are FREE to all. Explore the Museum of London with Collections online - home to over 12,000 objects with more being added.